It is advisable to always keep all your equipment clean and dry to avoid rust. Cleaning and proper drying are key in equipment maintenance as it does not compromise the strength or quality functioning of the tool, and makes them look good. Frequent oil changes keep acids and contaminants from accumulating and corroding the inner workings of your small engine. Leaving the oil in engines over long periods of time can cause damage to the gears and springs. Small engines require frequent lubrication to ensure that the moving parts function with ease the next time they are used. Lubrication ensures smooth functioning. Over the storage season, the equipment and small engines require proper repairs and maintenance which may have been postponed. Small engine maintenance ensures efficient and effective functioning even after the storage season. Plastic fuel tanks are to be drained out completely and left to drip all the contents. The ethanol in the fuel is prevented from absorbing moisture from the air which leads to corrosion and clogging mostly of small engines. For metal tanks, on the other hand, it is advisable to fill them to the brim. This ensures no air is trapped inside the container, which may leave the fuel open to combustion. A fuel stabilizer should be added into the fuel which ensures no condensation forms and corrodes the fuel system. Proper storage for small engines requires the removal of old fuel from the tank. High octane gas is added with some fuel stabilizer to clean the engine pipes. Start the engine and let it run for 5 to ten minutes to allow the fuel stabilizer to flow through the engine. The next step is to locate the carburetor bowl and empty the remaining fuel. 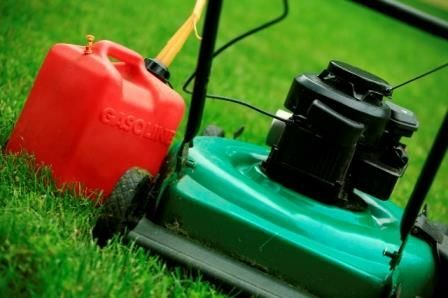 The most important thing to keep in mind is to always store your small engines and equipment indoors. When left outdoors, the equipment is exposed to rust and physical damage from animals and harsh weather conditions.